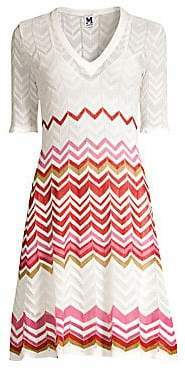 Colorful wave design with side ties highlights this beautifully textured scoopneck knit dress. Scoopneck Elbow-length sleeves Empire waist with side ties Concealed back zip Cotton/polyamide Dry clean Imported SIZE& FIT About 38" from shoulder to hem Model shown is 5'10" (177cm) wearing US size 4. 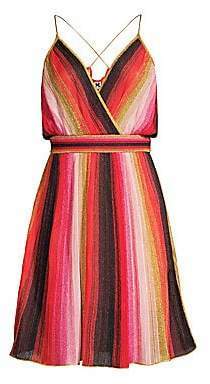 Modern Collecti - M Missoni. M Missoni. Color: Red. Size: 38 (2).